DJ Z-Trip (born Zach Sciacca) is the Godfather of what is now called the mashup school of hip hop, The man who brought the style to the forefront of what it is today. A Phoenix, Arizona native, he was known early in his career for performing with the Bombshelter DJs (DJ Emile, DJ Radar, and DJ Z-Trip). He became widely known when his collaboration with DJ P, Uneasy Listening, Vol. 1, was released in 2001. Only 2000 copies were made, but the album was soon distributed over the Internet in MP3 format. His most recent release, Shifting Gears, marked his major label debut, and was his first full length album of production work. Released on Hollywood Records in 2005, the album features guest artists Supernatural, MURS, Lyrics Born, Luke Sick, Aceyalone, Mystic, Prince Whipper Whip, Busdriver, Chester Bennington (from Linkin Park), Chuck D (from Public Enemy) and Soup (from Jurassic 5). From the remedy for those Monday hangovers department... 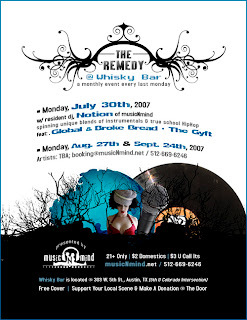 The Remedy a monthly event by DJ Notion is tomorrow July 30th with Global, Broke Bread, and The Gyft @ Whisky Bar. I don't think I can drink anymore after this weekend... saw the Grupo Fantasma show with Bavu and Nick Nack last night... now wasn't that dope... Bavu tore it up! why do drunk people drop bottles of beer and just stare at it like a dead animal? Global was born a Bboy in the state of Maryland. After lounging in VA, Md, and DC, the Emejulus settled into their beautiful homeland of Nigeria. This is where his hunger for knowledge and collective unity was born. While in Nigeria, Global learned about soccer, Igbo metaphysics, and the Chukwu mystery school system. From there, he then transitioned to his home away from home, Dallas Texas. It was in Dallas Texas that Global first witnessed the dichotomy of abject poverty and enormous wealth. From the slums of the states streets to the mansions of Highland Park, he learned at an early age that this system is built upon inequity and exploitation. 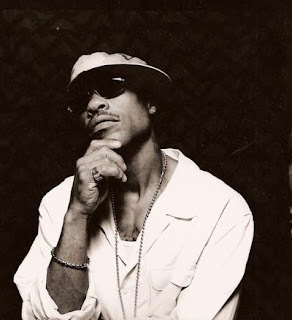 Son of the old world, Global turned to Hip Hop as a beacon of truth and hope. Groups like Sugar Hill Gang, Grandmaster Flash and the Furious 5, Schooly D, Eric B and Rakim, Brand Nubian, Big Daddy Kane, Ghetto Boys, NWA, Kool G Rap, KRS1, ICE-T, Poor Righteous Teachers, and Africa Bambaataa left an indellible mark on his very being..
From the stay tuned for some great show coming up department... Talib Kweli @ Emo's on August 8th! And at the show, DJ Chaps... it'll be a night to remember... tix are $10... get them here. So Friday at work we had "bring your kids to work" day... it was fun seeing everyone's procreations... life is so wierd... so i started having this discussion with a few people... if you think about it... if we, as in humans, do nothing else in life our main purpose is to procreate... to pass on our genes... don'tcha think? 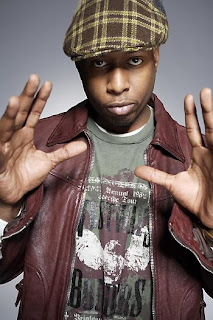 Talib Kweli (born Talib Kweli Greene in Brooklyn, New York City on October 3, 1975) is an American MC from Brooklyn, New York. He is one of the best-known rappers in alternative hip hop, and is frequently critically acclaimed, despite not having seen significant commercial success. His name in Arabic means "student", his last name in Swahili means "true". Talib and fellow rapper artist Mos Def purchased Nkiru, which is Brooklyn's oldest black-owned bookstore, and converted it into the Nkiru Center for Education and Culture. He also studied experimental theater at New York University (NYU). Kweli's mother was an English professor and his father a sociology professor. 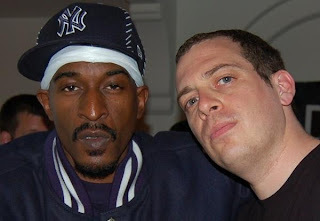 As a youth, he was drawn to Afrocentric rappers, such as De La Soul and other members of the Native Tongues Posse, and soon began recording with rapper Mos Def, whom he had met in high school, and producer Hi-Tek. From the I've been soooo waiting to use this picture department... DJ Nick Nack, Bavu Blakes, and Grupo Fantasma @ Antone's on July 28th. Tix are $15. Get them here. What up with NASA these day?!? Jealous astronauts... drunk astronauts... sabotage?!? Crazy people everywhere. From the why is this thing spinnin' department... DJ S.T.A.T.I.K. wrote in to tell us that he's welcoming all DJs, MCs, and singers to invade his pad every Friday night and just chill out and collaborate. You can get at him through his Myspace site. Call ahead so i can get a head count and Equipment list. S.T.A.T.I.K. 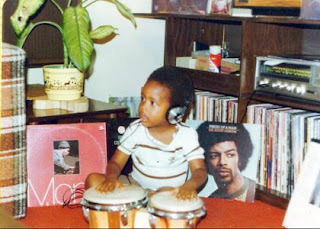 became a turntablist at a young age and Hip Hop had naturally become his life. In high school, he organized and hosted the first DJ battle on campus ever to take place during school hours. He was responsible for throwing phat concerts and giant parties, also new for the school. While taking a few community college courses, he hosted a Hip Hop radio show on a local station. Being booked gig after gig throughout the Bay Area with or without his former SwingSet crew, S.T.A.T.I.K. was ready for a change of scenery and headed south in 1997. It seemed like Riverside was just waiting for S.T.A.T.I.K. to come along. 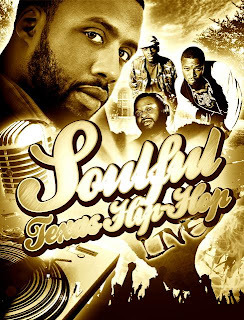 From the amazing quartet department... Bavu Blakes, Brannen Temple, Yoggie, and Tha Carter @ Canvas Bar on July 26th. Gonna be great and planning to be a weekly show! Get there early... starts at 8pm. Dubbed "One of Texas' brightest new stars" by legendary rapper The D.O.C., Bavu Blakes is the ultimate wordsmith by both definitions. He is the 2006 Austin Music Award winner for best hip-hop act, a freelance journalist who has published stories in the Dallas Morning News and Fort Worth Star-Telegram, and the Urban Music Director (and on-air personality) of Time Warner's Music and Entertainment Television. From the gansta nerdcore department... mc chris @ Emo's on July 26th. Austin bands reppin it... Yuppie Pricks and Terp 2 it. Just finished a wild movie... Genghis Blues... it's about this blind blues singer who meticulously learns Tuvan and their unique throat-singing style... travels half way around the world to Tuva in Russia... and enters and wins the throat-singing competition... amazing. 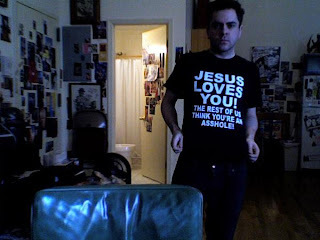 Chris Ward (born September 2, 1975), otherwise known as mc chris, is a nerdcore rapper, voice actor, and improvisational comedian born in Illinois, USA. He currently self releases on his own label Jet Pack Industries, LLC. His trademarks include the synthesis of his "geek" heritage with the "gangster" image associated with hip hop artists, and the high pitch of his voice, celebrated in his 2003 song "10 year old" (likening his voice to that of a child of ten years of age). He has appeared on many of Williams Street Studios' shows on Adult Swim, most notably Aqua Teen Hunger Force (as MC Pee Pants/Sir Loin/Little Brittle) and Sealab 2021 (in some bit parts, consistently recurring as the also crude and often misguided Hesh), and a bit part in The Brak Show. He also wrote for Sealab 2021 and The Brak Show (including the episode "Brakstreet: Men in the Band"). He also made a cameo in an unaired Space Ghost: Coast to Coast episode, "Baffler Meal". 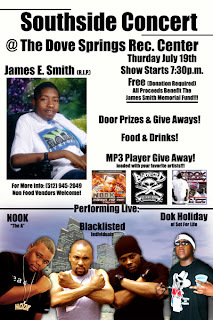 From the let's help out the James E. Smith family department... Nook, Blacklisted Individuals, Dok Holiday @ Dove Springs Rec Center on July 19. Free show (caveat: donation required) and free MP3 with music give away... now that's a good deal! Do people watch Antique Roadshow on PBS? Isn't is disturbingly addictive and interesting?!? And how do the "experts" seem to know anything and everything there is to know about any given piece?!? Are we turning into a culture of garage sale junkies? From the electrical engineers turn rapper department... Rah Digga, Craig Mack, Rampage @ Emo's on July 27 as part of the Ambush Tour. Daum... the thumb that I slammed in the door now has half the nail coming off... I feel like pulling it off... but the other half seems to be on there pretty tightly. 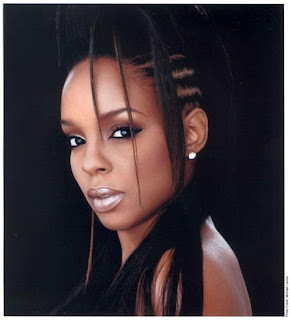 Rah Digga (born December 18, 1972) is an American rapper. Well known as a long time member of the Flipmode Squad, a hip hop group led by Busta Rhymes, she parted ways amicably with the group in 2007. Digga was born Rashia Fisher in Newark, New Jersey to Brenda, a transit worker, and Al Fisher, a biomedical engineer. She attended a private school in Maryland where she graduated as salutatorian, then studied electrical engineering at the New Jersey Institute Of Technology. From the least non-negative number department... Z-Ro @ Spiro's... tonight... July... Friday the 13th. Get your $20 tix here. Watching Washington Week and they're talking about Bush's legacy... I agree historians will be writing for years about his presidency... and historians will always write about both sides for years to come... so how does one go about gauging success or failure in Iraq? 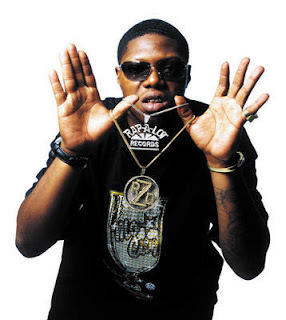 Z-Ro (born Joseph Wayne McVey on June 6, 1976) is an American rapper from Houston, Texas, known for his "up-from-nothing" rise to fame, flexibility in rhyme and extensive collaboration with other rap artists and musicians. Z-Ro's popularity has increased rapidly, as has been featured on Bun B's single "Get Throwed" with Pimp C Jay-Z, and Young Jeezy. Z-Ro was released from prison July 9th, 2007. From the guys who like to mix chameleon with all the words of the dictionary... Chamillionaire @ Travis County Expo Center on July 21st. Last time I washed my car was years ago... so I be ridin' drrrty... I should be a comedian! At a young age, Chamillionaire, along with fellow rap music artist and childhood friend Paul Wall, had decided to make music their careers. He began his musical career in a gospel rap group by the name of the "The Sleepwalkers” with former partners Paul Wall and TeRay "PKT" Green. They performed at many youth festivals and church gatherings before venturing into more secular music. One day while promoting themselves at a Texas event, he and Paul Wall ran into Michael 5000 Watts, a popular mixtape DJ from the Northside. After proposing to do promotions for Watts' company, the Swishahouse, Chamillionaire and Paul Wall came to Watts' studio and convinced Watts to allow them freestyle on an intro to Watts' radio show on Houston’s 97.9 The Box. Watts, who himself was convinced to rap on the record, enjoyed the freestyle so much that he put the verses on one of his mixtapes. 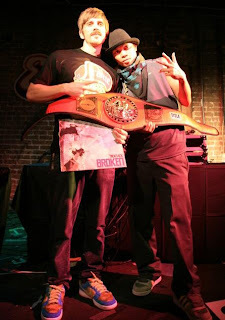 The freestyle became so popular in the streets that Chamillionaire and Paul Wall became regular staples on Houston's mixtape circuit, appeared on several of Watts' mixtapes, and became permanent members of Swishahouse. So I told you about my friend who had his engagement party this past weekend... we'll he has the dilemma of choosing his groomsmen... he's Punjabi Sikh... so his ingenious plan is to tell his friends that whoever wants to be a groomsman must not shave or cut their hair 4 weeks before the wedding... I'm gonna look like a dirty Asian fisherman by then! 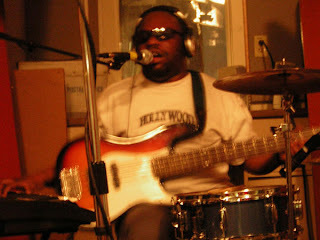 D-Madness aka Dwayne Jackson is the baddest musician in this world. In the studio, he basically plays everything but horns (which he intends to also master). He was playing in orchestras, overseas, by his teens. He's played in studios, bars and clubs since his teenage years. If you need ANYTHING between cello parts and vocal percussion, D-Madness can help you. He is the ultimate session musician. On stage, the normal D-Madness setup is bass guitar or electric guitar, drums, his ASR-10 production keyboard and a vocal mic. He might also play a cheek solo, a nearby beer bottle, or double-time his bass drum with the sticks (even ex-Living Colour drummer, Will Calhoun, was baffled). When Japan's DJ Krush first saw him perform, he asked D to play bass guitar and violin on his next record. When Erykah Badu saw him soundcheckin' at her Black Forest Theater (near his native Oak Cliff, Texas), she pushed him later in the schedule so Prince could see him. 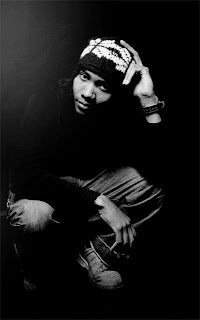 From the I know what you did last summer department... DJ Spooky @ The Parish on July 19th. Tix are $15... get them here. Talking about shady cops... I went to my friends engagement party this past weekend... punjabi sikh party... so you know those fools get rowdy... well... they had rented and off duty state patrol... towards the end of the party the statey tells the bartender to leave the caps off the bottles of liquor... my friend's dad was going to take the extra liquor home since they bought it... can you imagine if he was pulled over with them open like that?!? DJ Z-Trip (born Zach Sciacca) is the Godfather of what is now called the mashup school of hip hop, The man who brought the style to the forefront of what it is today. A Phoenix, Arizona native, He ran with an "Infamous" group of DJs, the Bombshelter DJs; DJ Emile, DJ Radar, and DJ Z-Trip. 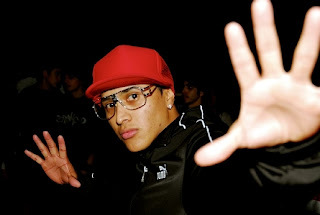 DJ Z-Trip became widely known over the internet when his collaboration with DJ P, Uneasy Listening, Vol. 1, was released in 2001. 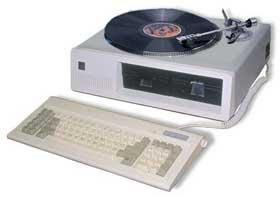 Only 2000 copies were made, but the album was soon distributed over the Internet in MP3 format. Z-Trip's most recent release, Shifting Gears, marked his major label debut. Released on Hollywood Records in 2005, the album features guest artists Supernatural, MURS, Lyrics Born, Luke Sick, Aceyalone, Mystic, Prince Whipper Whip, Busdriver, Chester Bennington (from Linkin Park), Chuck D (from Public Enemy) and Soup (from Jurassic 5). 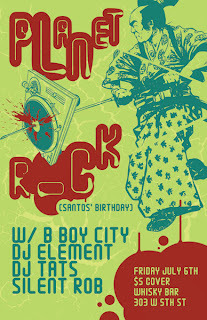 From the it's my birthday and I can cry if I want to department... come on out to Whiskey Bar, Friday July 6th and celebrate our favorite back flipping B-Boy Santos' Birthday @ Planet Rock with B-Boy City, DJ Element, DJ Tats, and Silent Rob. And of course the crew Ernesto and Mike... Sorry I can't be there... but Ernie and Mike will be representin' and causing trouble. 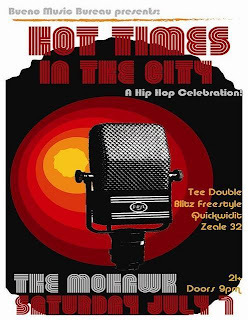 From the best hip-hop you will see in Austin this year department... Bavu Blakes and Mojoe @ Club 115 on Friday the 13th. Also bringing you the nightmares will be DJ Viz. The show is $10 and it's suggested you show up before 10pm as it is expected to sell out! Fo' Sho'!